We were going to wait and do a 30-day countdown, but we just couldn't resist. So, LET THE COUNTDOWN BEGIN! Follow me, my blog, or After The Ending on FB if you want a taste of what juicy morsels lie ahead! 33 days and counting until the release of Into The Fire! 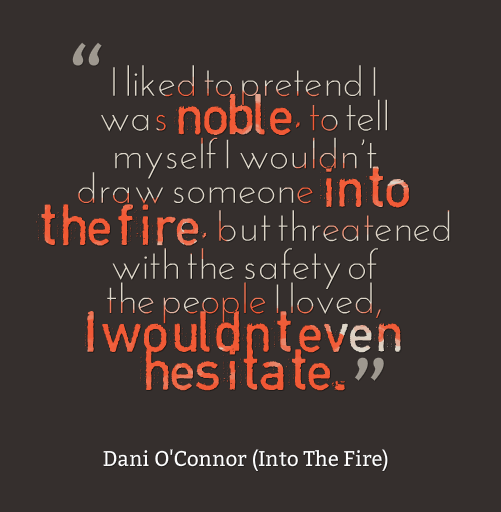 Here's one of our favorite Dani quotes from the book.